We made some planters right off the front patio with plans to have an herb garden. 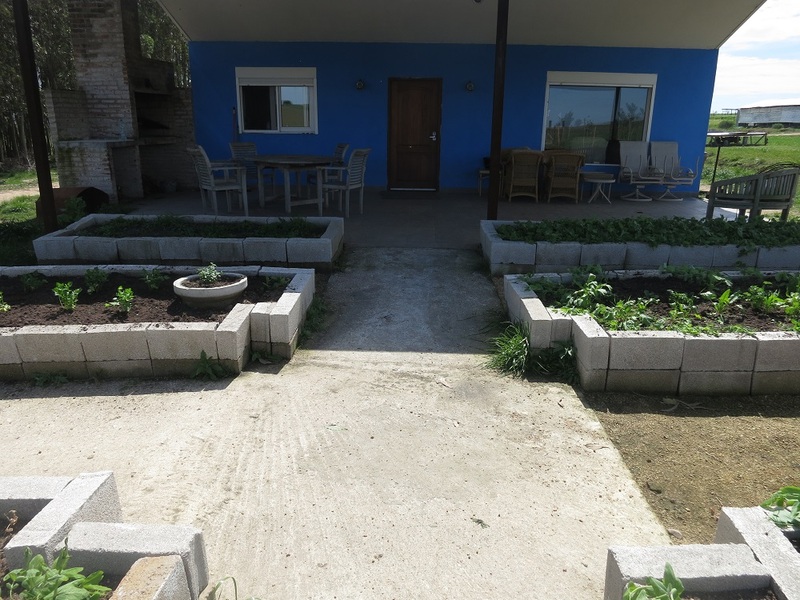 So while we are waiting for some herbs to germinate and for the weather to accommodate others, we decided to plant the area and stop weeding it. So Megan chose a few types of vegetables that might like semi shade and wind and roof water dew and planted. Then the wind came and stayed along with the birds. So netting went up. Rosemary is the green clumps you can see along the edge . 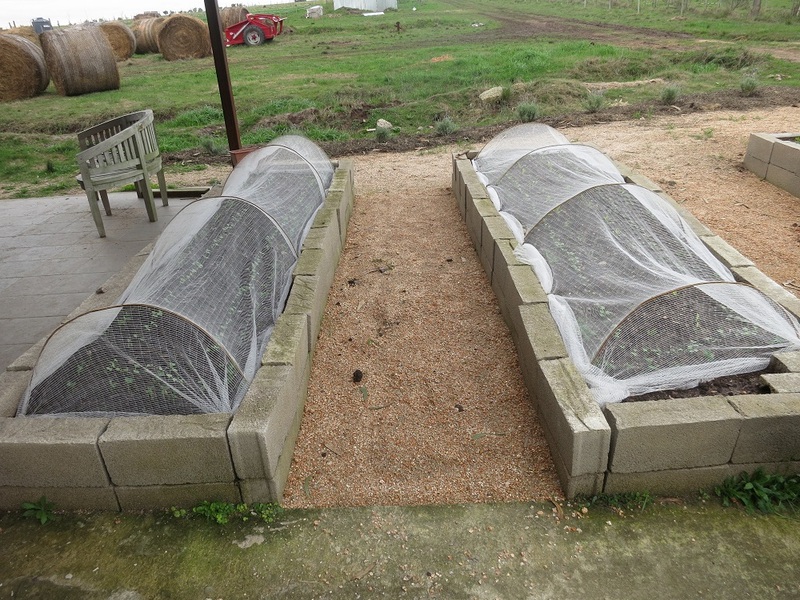 Then the plants were large enough that we could take down the netting. 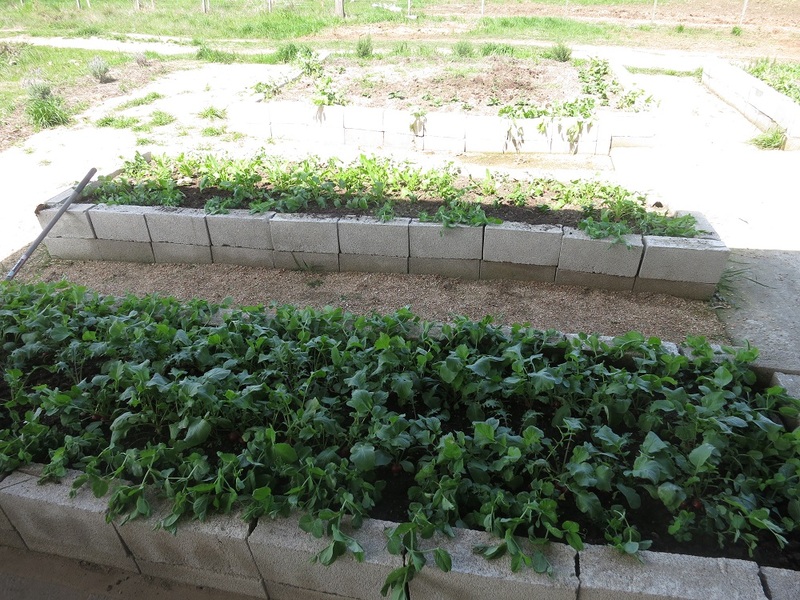 We have been able to harvest radishes and spinach from the beds. We have peas and mint and parsley growing. It has been fun to walk out the door and trim a few springs of rosemary for our lamb dinner.